1: a journey of a pilgrim to a shrine or sacred place. 2: a trip taken to visit a place of historic or sentimental interest or to participate in a specific event or for a definite purpose. 3: the course of life on earth. 4: a search for mental and spiritual values. - Websters Third New International Dictionary. 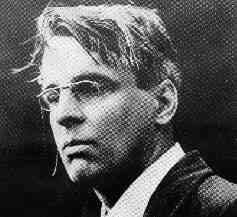 William Butler Yeats poems have resounded through my life with increasing and clearer meaning as I grow older. And so, when given the opportunity to visit Ireland, I jumped at the chance. I planned stops at some of the traditional sites from his poetic life. I saw my journey as a pilgrimage, though I wasnt sure what that really meant. I just knew that some things in life should be holy, and spending time in places that were once only dreams is one of them. The first sacred site on the itinerary was Yeats tower near Galway. Thoor Ballylee presented the quaint air of a secret world. The thin, old road forced the car to a crawl. Stone walls and hedges hemmed in the pastoral countryside. When I finally arrived in the car park, only a few other visitors roamed the grounds. However, an extensive gift shop abutted the tower, and although the thatched roof gave a sense of authenticity, nothing spells mediocrity like T-shirts and logo mugs. Nothing, that is, except an amateurish film devoted to the history of the place, a story I already knew. After buying a ticket, I sat for a while in the darkened theater alone, watching the documentary that was designed to precede my self-guided tour. But after a minute, I stood up in disgust and headed through the door into the tower itself. Immediately, I ascended the famous winding stair, which was narrow and cold. No memory of life existed in the strange house, the rooms austere and stony. On the battlements, I tried to feel the presence of the poet, but instead two small children scampered around, screaming. Their mother, a beautiful Irish woman, took my picture and apologized for her children. After lingering too long, I slowly made my way down the stairs, disquieted by my expectations. In one sense, the majestic, lonely tower beautifully exceeded my vision of a squat fort with adjoining buildings amidst the suburbs. But in another, it failed, stripped of any life by the very pilgrims that come here. The people who restored this place for us had only love for Yeats in their hearts. But their very act had transformed Thoor Ballylee into a tourist attraction and nothing more. I refused to stay in the gift shop and look for souvenirs. Even though I might have found some rare works or precious artifacts, it somehow seemed wrong. More guests began to show up as I left, milling about with babies and dogs. Must all our pilgrimages come to this? A check mark on the itinerary, complete with restrooms and car park? Nevertheless, the next day I started up a rocky path alone, heading to the top of Knocknarea with my copy of Yeats Complete Poems. The trail quickly became steep on the parabolic hillside and I passed a family who sprawled on the rocks and grass. Behind me, the full range of the Sligo countryside opened up. I could see the ancient cemetery of Carrowmore and cairns on the peaks of the hills beyond. But they are nothing compared to the huge, unopened passage-grave that waited on the top of this lonely mountain. Legend says that Queen Maeve laid to rest here, though archaeologists say the tomb is much older. The poets believed what they wanted. Yeats stood here. I know this. His poems and stories are full of this mountain, and of the mighty Ben Bulben, rising like a green mesa across the bay, indeed of all these fairy hills in the west country. One by one they came into view as I climbed higher: strange, tortured peaks soaring over pastures and villages. The town of Sligo surfaced like a school of fish from the pine plantations. The blue goblet of Lough Gill lay beyond, cradling the famous Lake Isle of Innisfree. I struggled to the top and, as I summited the ridge of the thirty-foot-high cairn, the Atlantic Ocean appeared before me in all its summer glory. On the peak, a flat, elliptical area about the size of a large room, I beheld a panoramic view of six counties. Someone had lit a fire in a small hollow. Spiced wood bestowed the tang of incense to the air. I found a flat rock and rested there, staring towards Ben Bulben and the location of Yeats grave. Then, reverently, ignoring the other hikers that milled about, I opened my book. I slowly and carefully read "Into the Twilight," "The Ragged Wood," and "The Hosting of the Sidhe." I prayed for the sidhe to emerge once more from the hill-cairns. I rose and made a last circle around the crest of the cairn, repeating lines like a prayer. And then I bounded down quickly, almost too soon, not wanting to draw out this moment of communion until the presence of other sightseers spoiled it. I had washed the bad taste of tourism from my mouth and was on the pilgrims path at last. That night, I lodged at Markree Castle on the outskirts of Yeats hometown. I walked out into the fields and found an idyllic spot: the castle on my right, a stream winding through the green wonder of fields, huge elder trees, and rocky hills topped with cairns, the same I had seen earlier from Knocknarea. Yellow and white flowers sprinkled the meadows. Sixteen brown and white horses grazed on the opposite hill near a giant pair of trees that blotted out the sky, towering over their fellows. A single brown chestnut stallion with a white blaze on his forehead stood nearby, staring at me as if unsure of my purpose. Then, a wedding party honked its way down the long drive to the castle, frightening four beautiful steeds into a gallop across the hillsides. Seldom have I seen anything so magical. I had crossed the threshold of the pilgrim world, where the rituals of our minds produce blessedness. Dragonflies flittered around my head. Willow reeds along the stream rustled and swayed in the growing breeze. Behind me, a dense wood twittered with evening sounds. Birds began to sweep out of the forest, catching lazy insects. The chestnut blaze kept staring at me, as if trying to commune. I wished for a second I had a camera, but quickly relented. Some moments are too holy to limit with a photograph. Even writing seems like a transgression. Was Yeats ever at this enchanted spot? Possibly. I knew I could search his biography, unearth the annals of history, and make sure. But I preferred to trust that he was there, that he saw the same fairy-tale landscape I did. I sat there in the cool evening meadow and believed. And thus, quietly and without fanfare, I discovered the true intention of a pilgrimage: to inspire faith. We alone must make our journey holy, not expect the sidhe to rise out of the earth and sweep us to a promised land. The next morning, after watching swallows chase each other through the castle turrets, I traveled north to Yeats grave in Drumcliff. As I stepped into the silent churchyard, buses of tourists noisily arrived in the car park. But I was alone at the quiet grave of my sacred poet for a few precious minutes. Ben Bulben loomed over me in the morning sun, springing from the pages of poetry. I pronounced a prayer-verse: "Who Goes With Fergus?" And then, before the other hesitant pilgrims entered the cemetery, I left. Some things are more important than time.